Are you tired of regular old banks and you want to take control of your money digitally from your device? Is time to experience banking like it’s never been done before in our country, No need to worry yourself going to bank any more, because we now have our first banking app in Nigeria called ALAT. 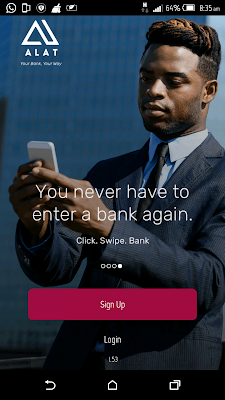 ALAT will save your time with a simple account opening process that takes less than five minutes, help you put money away easily by automating your saving, make sure your bills are paid on time with its scheduled payments feature and deliver a free debit card you can activate, lock and unlock from your phone to you anywhere in Nigeria. ALAT is supported by Wema Bank, a financial institution redefining itself as the leading bank for disruptive digital innovations. 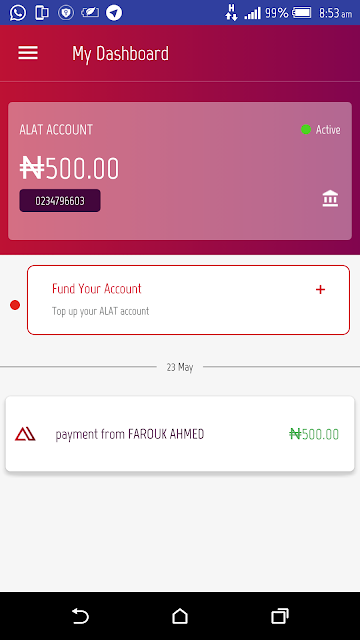 1) Open an ALAT account from your phone within minutes with your phone number and BVN. No paperwork needed, just take pictures of your documents and upload. 6) Control your card from your phone; lock or unlock it, and choose where you want it to work. No ridiculous fees, no excuses, no drama. Download ALAT now and take control of your money. 0 Response to "ALAT: The First Nigeria's Fully Digital Bank - All you need to Know"